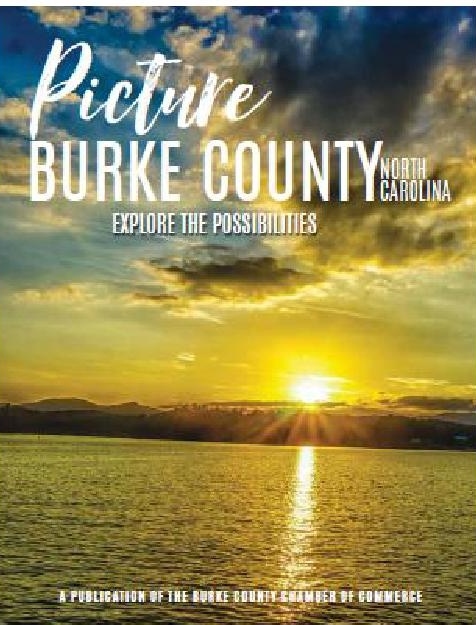 The Burke County Chamber of Commerce is pleased to help our members celebrate important business milestones. Below are photos from some of our most recent Celebration events! 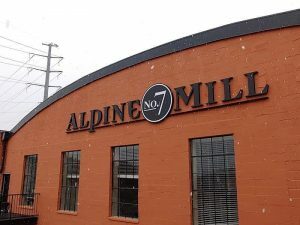 Once an abandoned furniture factory in Morganton has been transformed into a marvelous apartment complex named Alpine Mill No.7. They have renovated this historic structure to include 47 apartments and 43,000 square feet of retail. The apartments are 1 and 2 bedroom units, ranging in size from 730 to 1,322 square feet. Please call, 828-390-6151 or email us (info@airlieproperties.com) to reserve your brand new apartment! 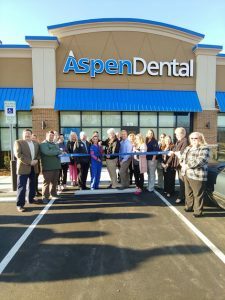 Aspen Dental practices are committed to treating patients with the compassion and respect they deserve. The practices believe in providing comprehensive care that addresses both your short- and long-term dental care needs, and promise to provide an honest, judgment-free environment where it all comes down to great care. For more information please visit their website HERE! 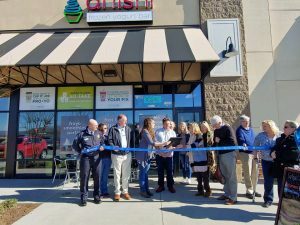 At Di’lishi, the mission is to provide a fully-interactive frozen yogurt bar and full range coffee bar! Guests can create their own tasty project from an assembly of options provided. The coffee bar includes fresh espresso with beans that are locally sourced and ground fresh, as well as, fresh ground drip coffee. For more information please call (828) 475-4172 or message them through their Facebook page HERE! The Levee Pub is the first brewery and pub in Valdese, N.C.. Their goal is to combine the best parts of the British Pub with the best parts of American craft beer, The Levee is a place to come hang out, meet your local community, bring old friends or just come and get away from the outside world for a while. All accompanied by great beer, of course. For more information please visit The Levee Brewery & Pub website. “Crafting wine started off as a hobby in 2011 to be able to surprise my husband as a anniversary gift and today it has become our family business. 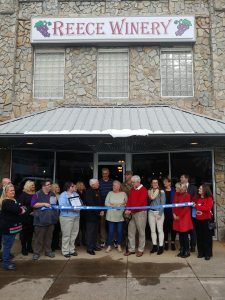 (ReeceWinery).” Reece Winery is a great place in the heart of Downtown Morganton to kick back with family, friends, and locals to enjoy a glass of wine. 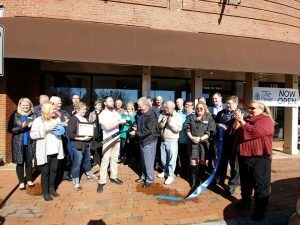 Located in Downtown Morganton at 116 N. Sterling Street Morganton, North Carolina. For more information please call (828) 544-5390, message on their Facebook page HERE, or visit their website HERE!